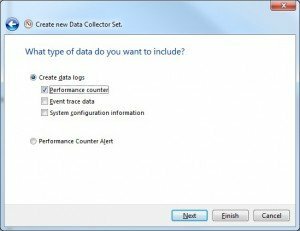 In this post we will run through how to record or capture the amount of IOPS being generated by one of your systems. 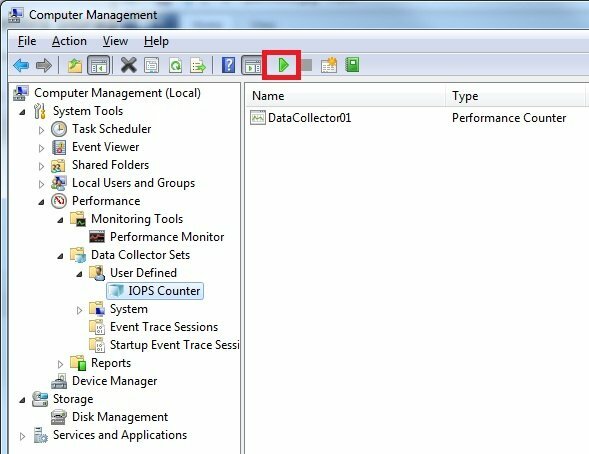 The method we will be using is the Windows Performance Monitor (perfmon). 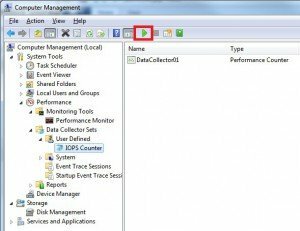 I used this method for recording the IOPS from desktops computers at my workplace when sizing for a VDI project, so lets get started. Step 1. Click right on Computer and select Management. 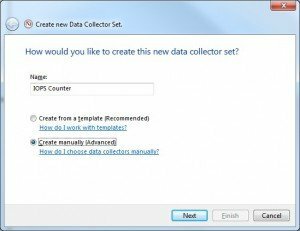 Under Performance > Data Collector Sets > User Defined. 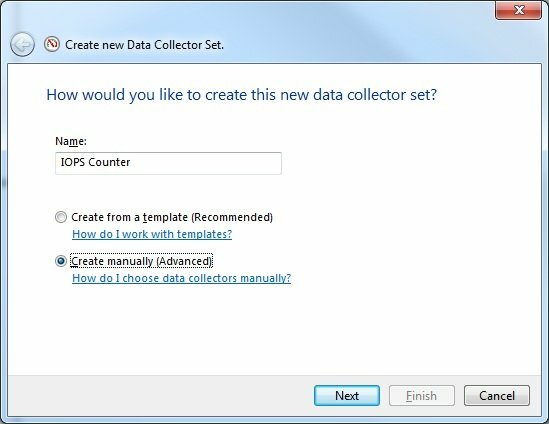 Click right on the User Defined folder and select New Data Collector Set. Step 2. 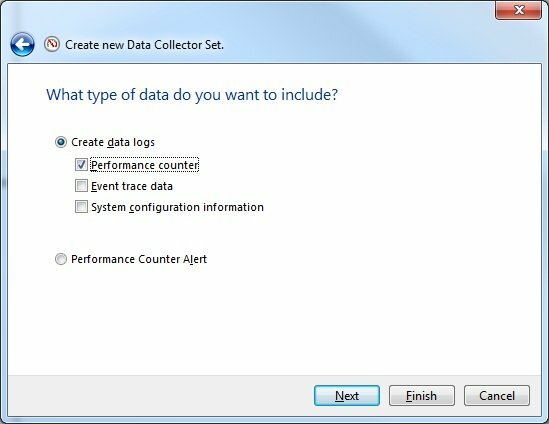 Set a name for your performance counter and select Create Manual Advanced and click next. Step 3. 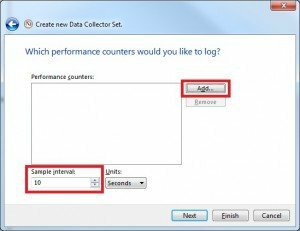 Click Create Data Log and check Performance Counter then click next. Step 4. Set the time interval to 10 seconds and click Add. Step 5. 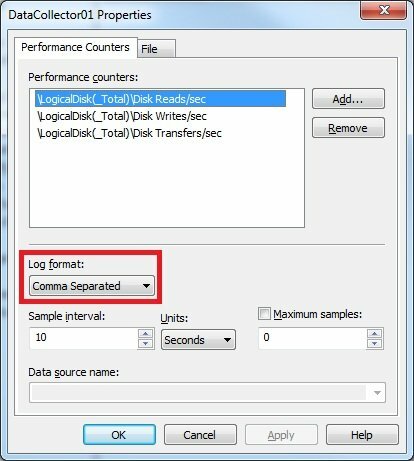 Locate Local Disk from the left hand menu and add the options (Disk Reads/sec, Disk Writes/sec, Disk Transfers/sec) and click OK. Step 6. 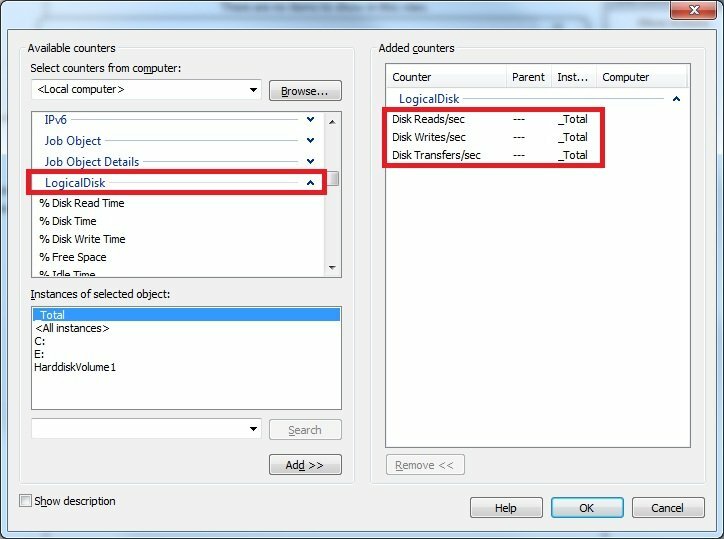 Double click on the item made under the User Defined folder and right click on the Data Collector and select Properties. Step 7. Under log format, select Comma Separated and click OK. Step 8. 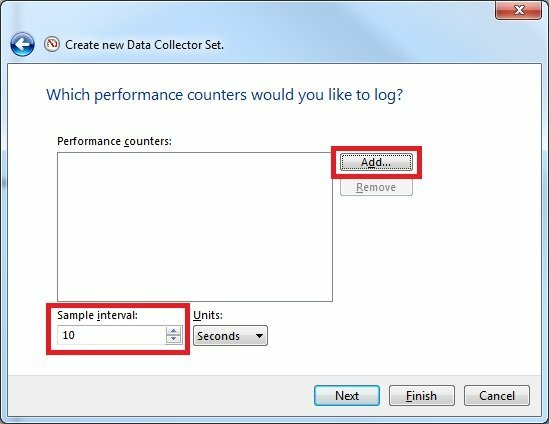 Select the performance counter and click the play button to start collecting data. Step 9. Once you have collected your data for a period of time, navigate to the following location C:\PerfLogs\Admin\yourcountername. 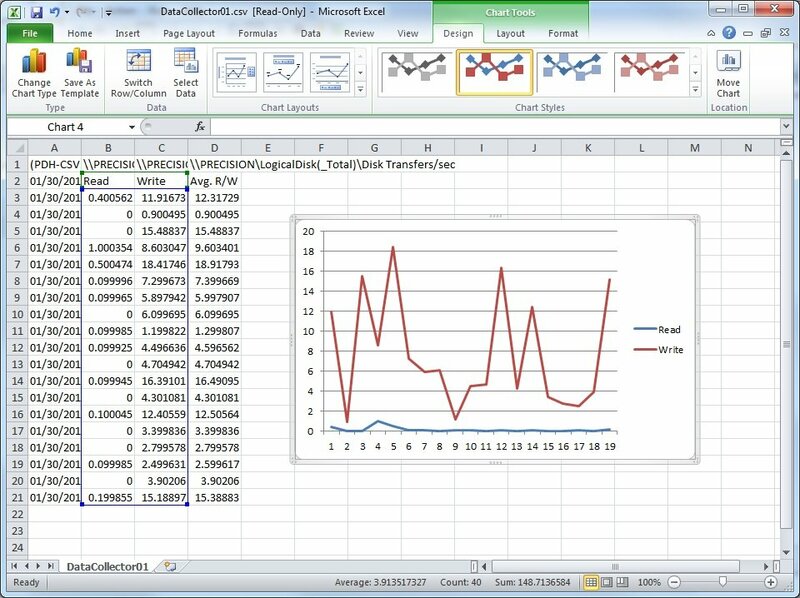 Now load the Excel document to display your collected IOPS. 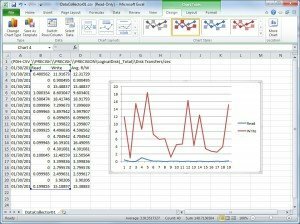 Within the excel document you can calculate figures such as the average IOPS, maximum IOPS, as well as putting together a graph that illustrates the activity of the IOPS by specifying the Read and Write columns. Thanks for reading and lookout for my other articles on storage and IOPS calculations. 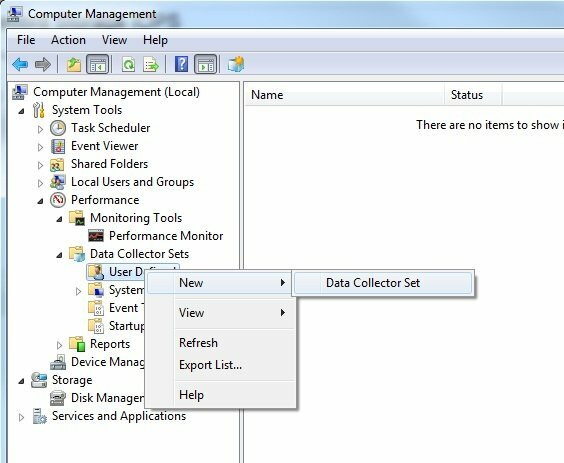 If you are attempting to remotely manage a Microsoft Exchange 2003 environment but your current operating system is Windows 7, you may find it quite hard to locate the correct tool for the job as i found when i upgraded my computer. To save everyone’s time I’ve avoided linking to an existing download site, and have decided to host the tool myself. The link to the tool is located at the bottom of this post. Unfortunately these tools only work with Windows 7 x86 and to date there have not been any Windows 7 x64 tool released. 3. 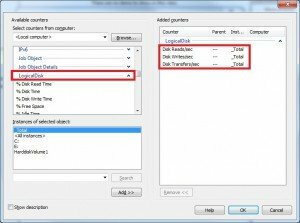 Within the file path enter %UserProfile%\Desktop this will automatically resolve the users profile name saving you from adding each users profile path manually. 4. Press OK and select remove all security groups and users from the permissions menu and add the user security group or names you want this restriction to apply to. Set the permissions for the group of user to only have Read access and also add an administrative group with full control. 5. 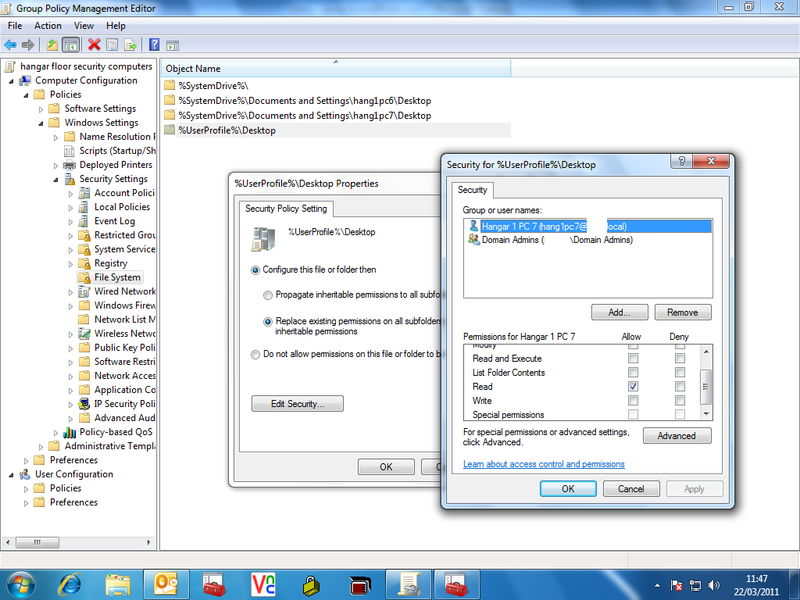 Within the Security Policy Settings windows, select the option forReplace existing permissions on all subfolders then click OK. This is the policy now configured. 6. 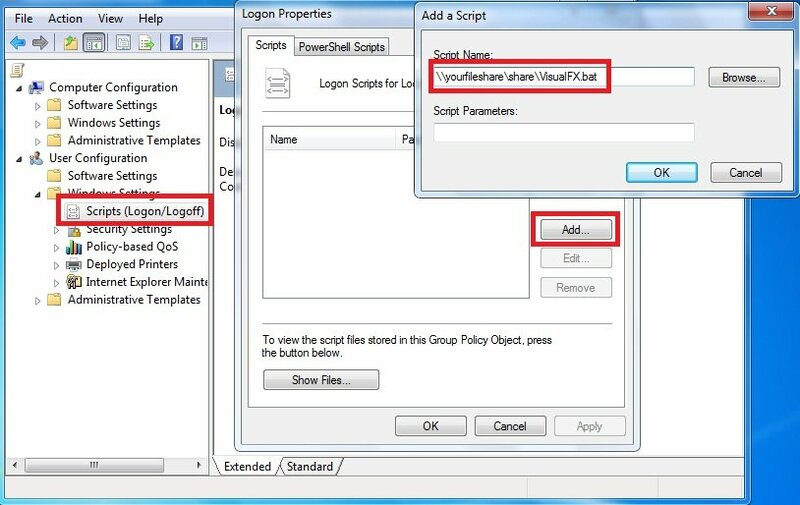 Return to the Group Policy Management Console and set the security settings of the policy to either Authenticated User for define the security group you want this policy to apply to. 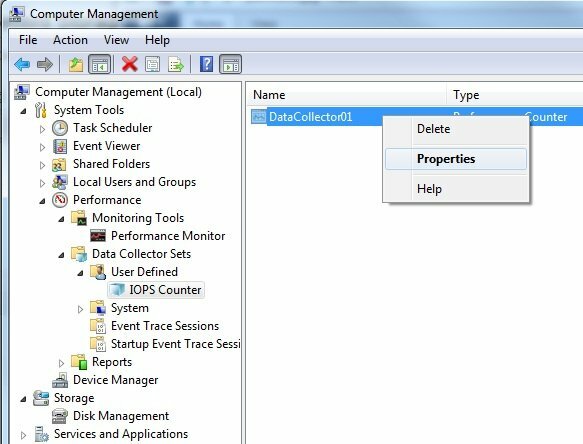 Creating a Windows domain is easier than most people think, especially on Windows Server 2008 R2. 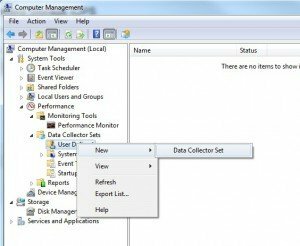 this video guide will go through setting up a basic domain controller allowing the use of Active Directory and group policy amongst others. The key tool in this installation is ‘dcpromo’ , by running this tool the domain creation is almost fully automated with only a few options to specify. For this test environment we will be using all default settings. 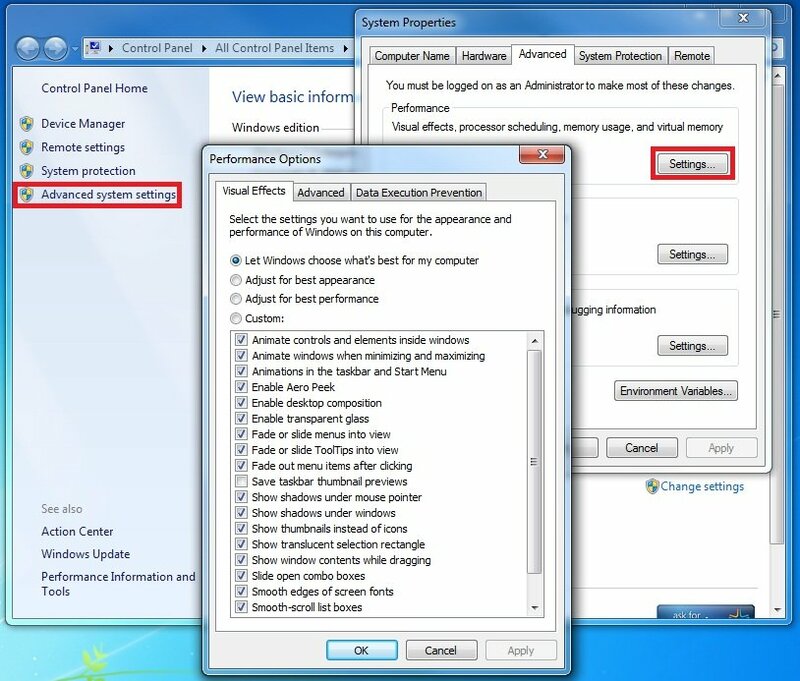 The Windows 7 system rating is a good way to establish your systems over performance. Windows 7 system rating is mark from 1.0 to 7.9 and measures processor, memory, graphics, gaming graphics, and primary hard drive. The overall system rating is taken from the lowest measurement. The following video will demonstrate the steps to perform a system rating. 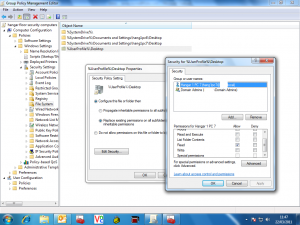 The following guide demonstrates how to restart the print spooler service. Performing this action is a common fix for printer issue where the printer queue appears stuck. The following video will demonstrate restarting this service .